The perfect outer layer for cool weather training; the linear tech hoodie’s versatile design and durable brushed fleece fabric allows it to perform in a number of environments. 5 unique pockets include a zippered media pocket on the arm, as well as hidden zippered pockets behind classic kangaroo pockets, allowing you to securely stash your valuables and keep your hands warm at the same time. Athletic Cut: The hoodies athletic cut complements the results of your training. Durable and Lightweight: Durable, lightweight brushed fleece fabric with the perfect amount of stretch will keep you warm without weighing you down. Hidden Pockets: Zippered pockets behind classic kangaroo pockets allow you to securely stash your valuables and keep your hands warm at the same time. Media Sleeve Pocket: A zippered media pocket located on the left sleeve provides storage for your phone, MP3, or miscellaneous valuables. Featuring semi-auto lock YKK zippers. 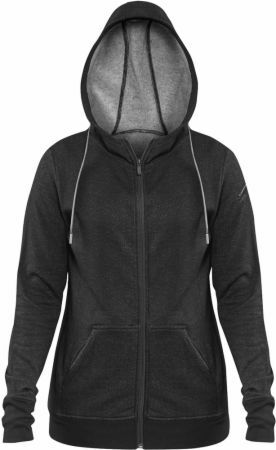 No Women's Linear Tech Hoodie Reviews Found.